Here are the cards I created for the Pretty Pals Swap at Convention in Salt Lake City. I used two patterns from the Birthday Basics Designer Series Paper on each card. I framed the images using coordinating card stock. I used mostly markers to color the cake from Bring on the Cake, and set it on a pedestal from Create a Cupcake. I used another Stampin' Write marker to color the edge of the cake plate. My finishing touch was "celebrate" from Fabulous Phrases which I cut out and matted using the Bitty Banners Framelits. I hope my Pals like my card! There are SO many talented demonstrators at Convention! Of course I had to place a little bling onto my card in the form of Basic Rhinestones! I hope you visit again tomorrow to see my final General Swap card. I hope to have some photos from Convention next week! Have a great weekend! 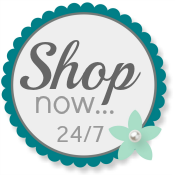 As always, please use my Online Store to order your own Stampin' Up! any time! Cute Birthday cards Patti. Lovin' the new paper. Hope you're havin' fun! Thanks for sharing!